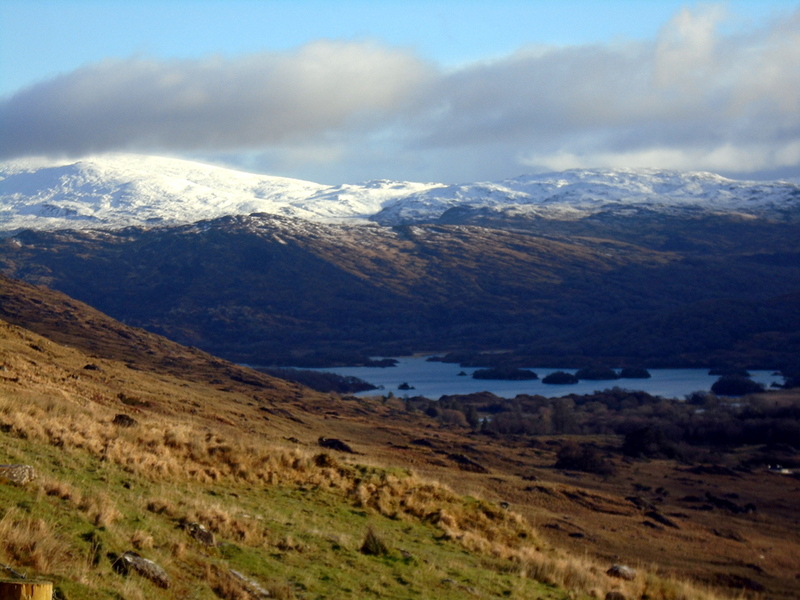 My daily – sometimes twice daily – trek from Ard na gCoistí to the foot of Mangerton mountain is best in the hour of the magically emerging new day between first light and sunrise. The timeless sheep could have been in that stable. 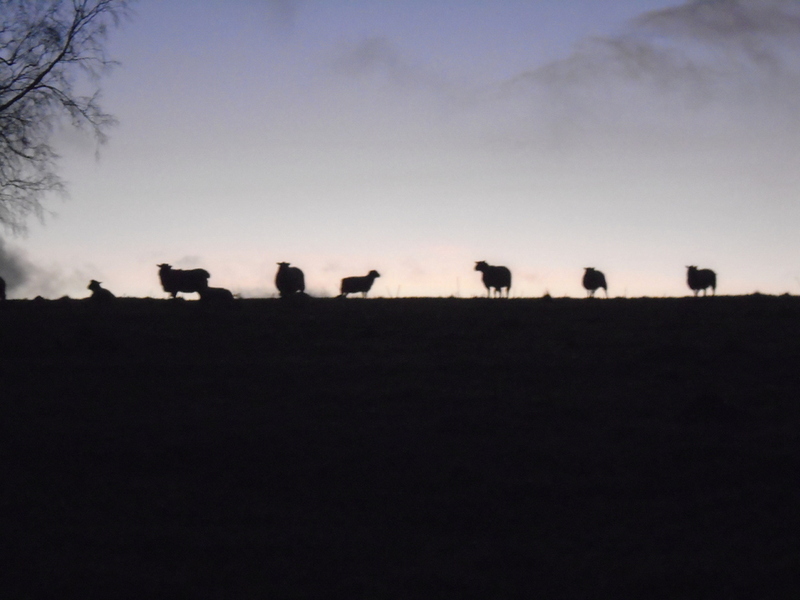 It was a particularly appropriate image on Christmas Eve and on December 29 and, as you can see, the sheep were not disturbed by my three canine companions. “What is that?” I asked pointing at the hazy yellow clumb some distance inside the electric fence along the side of the Western Meadow on the Muckross Peninsula in the Killarney National Park. “Is it primroses?” Colm wondered. But my flowerbook says ‘… the first primroses start to bloom in March’ … and we were walking the Muckross and Dinis route on New Year’s Day. I rolled under the electric fence to get close enough to take the photograph. The ragged flowers had been preyed on by a slug or other insect. 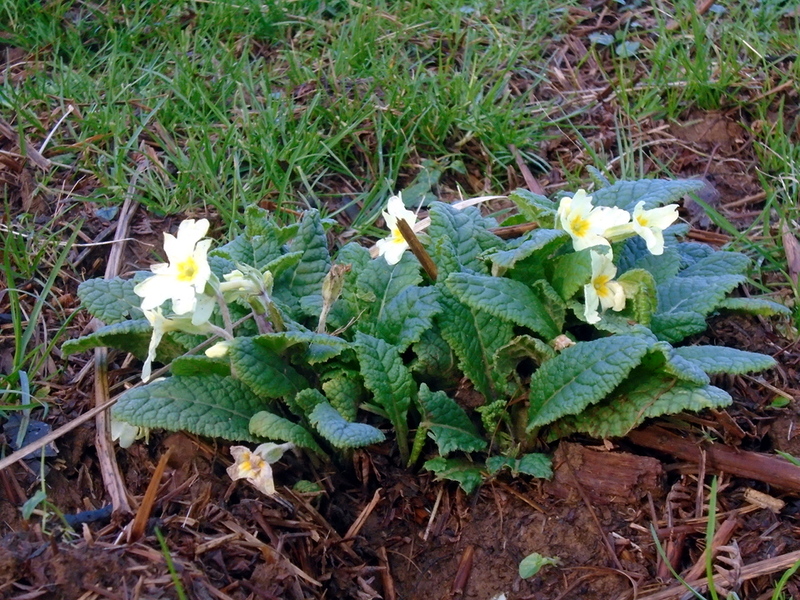 It did not look much like ‘the first rose’ the translation of its botanical name primula. In medieval times a potion made from primroses was used to cure gout and rheumatism, and an infusion was taken for nervous headaches. The flowers were used in the preparation of love potions. The most visible new growths this Christmas season were the hazel catkins along the south western edge of the western meadow. 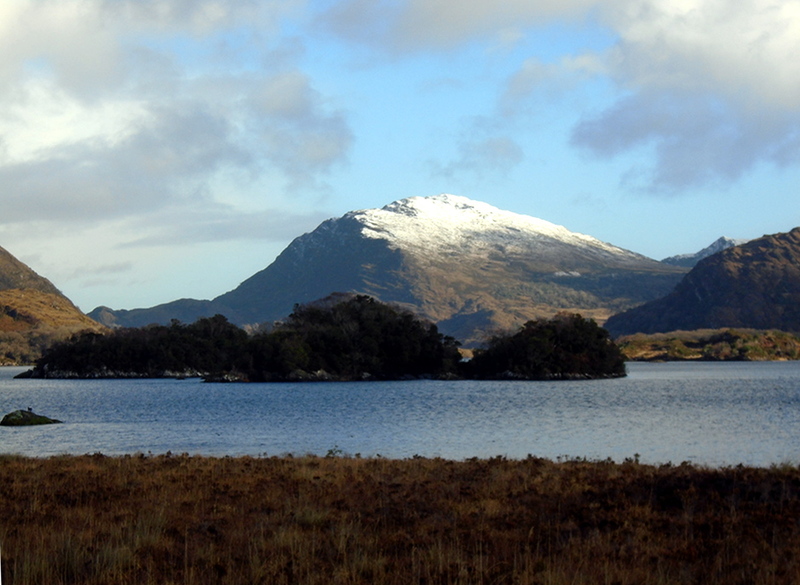 After oak and yew, swamp woodland is the third significant area of Killarney’s arboreal wealth. In European designation it is the most important. The alder gathers nitrogen from the air, is believed to harbour evil and was used to make clogs. I have walked Muckross and Dinis every Christmas Day since childhood, except on the odd occasion when flooding blocked the way. Endless variation of woodland, lake and mountain. Something new around every bend. 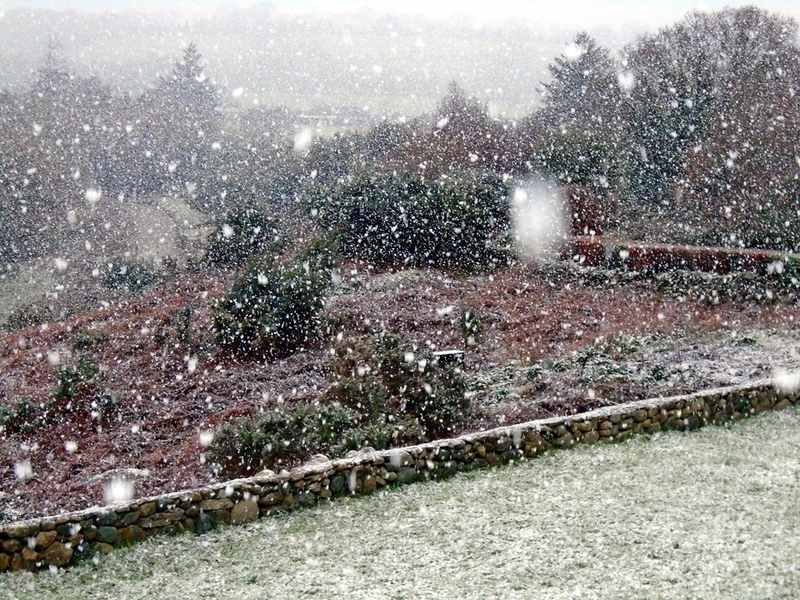 The hours of heavy snow in the afternoon on St Stephen’s Day made the garden steps at Gallan Eile slippery so I did not get down to photograph the house and the full extent of the wall. I will show you the full six foot high, two to three foot wide wall in next week’s notebook. 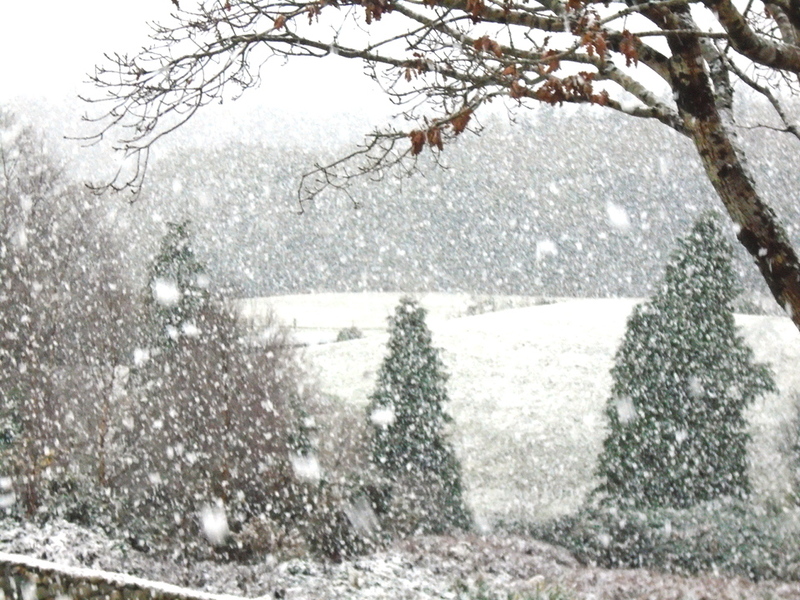 Strong woodland colour shines through the heavy snow. 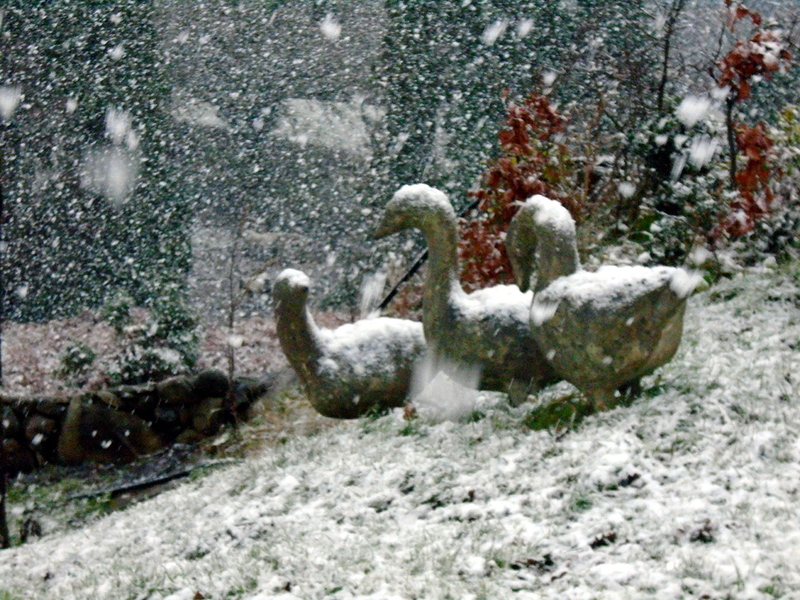 The ferro-concrete geese by Katie Goodhue have an entirely natural pose – looking at one another, pecking for food. 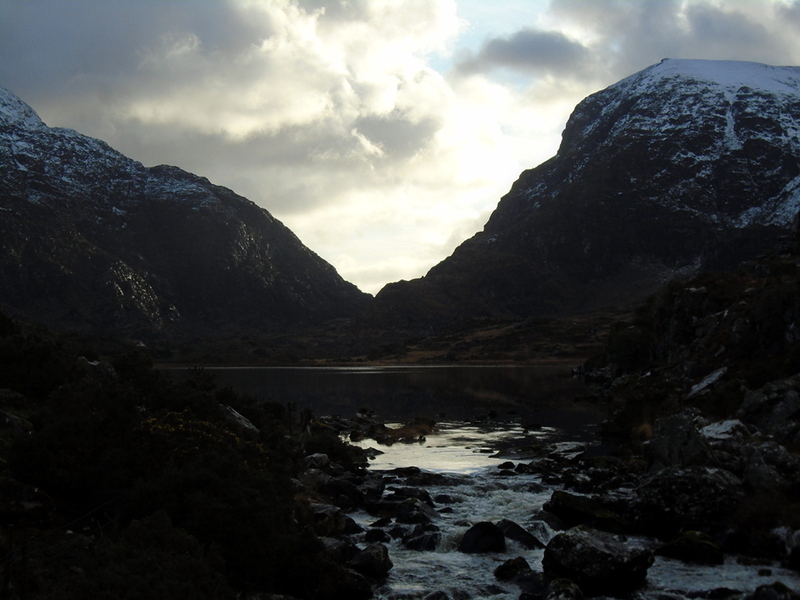 From Derrycunnihy to Kate Kearney’s is a walk that has everything – oak woodland, waterfall, lake side, our highest mountains, the Gap of Dunloe rift valley. 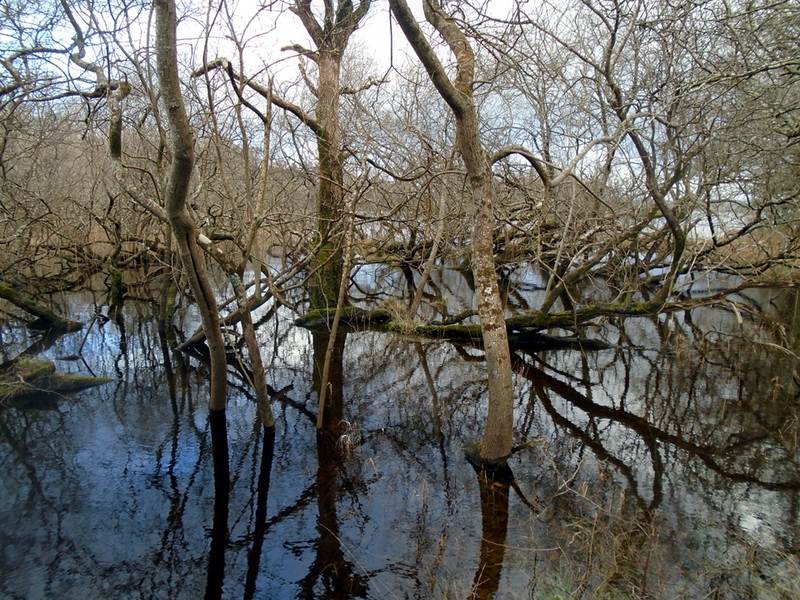 It is a walk for any weather – unless high water in the lake floods the southern end of the route which runs through marsh. As Fionan and I walked on the Wednesday after Christmas I wondered what this season was like on their island home for 18th century mathematician Philip Ronayne and his black servant. Or the unfaithful wife of Lord Brandon detained in the nearby tower. Fionan and I were on Ross Island on Thursday (December 28) and on Saturday Colm and I walked from the Cathedral along the river walk to Ross Castle and then on to Governor’s Rock. On both days the flooding through the swamp woodland on the way to Library Point was too high for our boots. Apart from a night of Storm Dylan and an evening of Hurricane Eleanor this festive season my rain gear was not drenched any evening arriving home. It was not very cold. 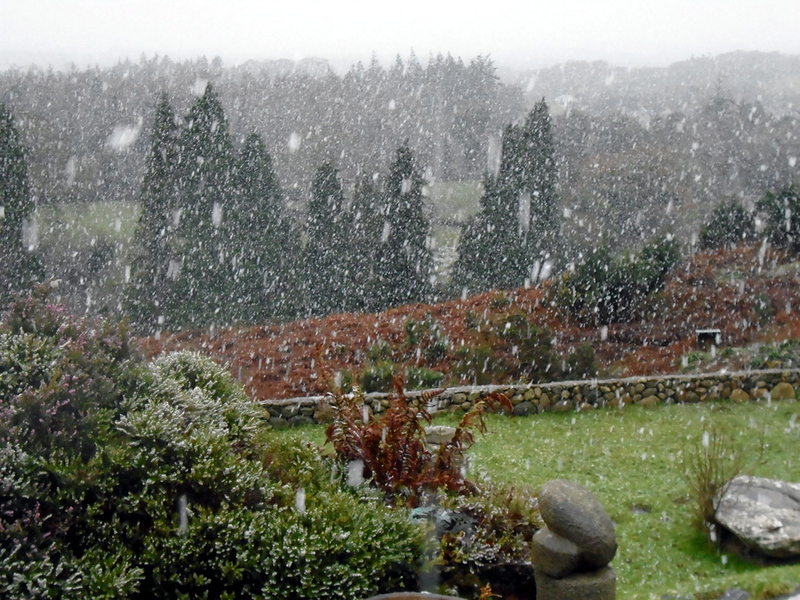 Bracing might be more descriptive, definitely not bikini weather. Imagine Niamh rising out of this great body of water, from eternal Spring in her home at Tir na nOg/the land where nobody grows old. 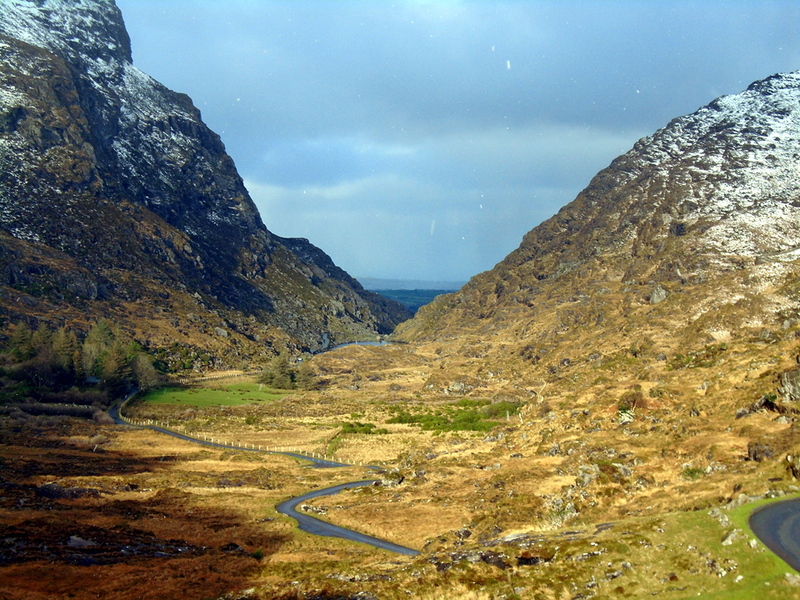 Or Fionn Mac Cumhaill turning the waters of O’Sullivan’s Cascade across the way into whiskey punch – until the arrival of the first sassanach (Englishman) undid his magic. This is a magical place enhanced hugely by its wealth of story. 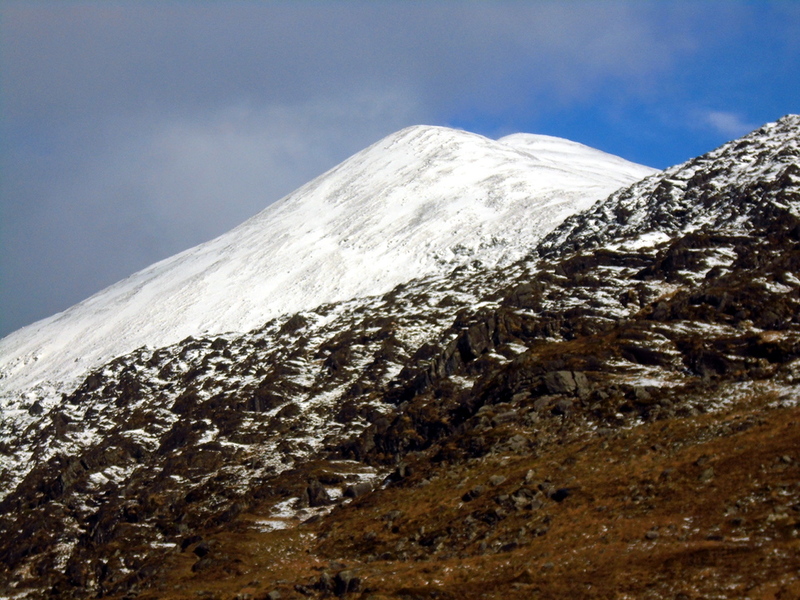 A land to spend Christmas – or any other time.